César Aira’s is a fine short book, imaginative and entertaining, but finally and essentially, it’s not about the size, it’s about the transmogrified truths, the art of the prose and its necessity. A poor beleagured miracle worker, scorned by skeptics, bravely decides to use his supernatural powers. Dr. Aira is not a conventional doctor. He has a very special gift for miracles, at least in theory. This has not deterred his archenemy, Dr. Actyn, who is trying to prove that Dr. Aira is a charlatan. 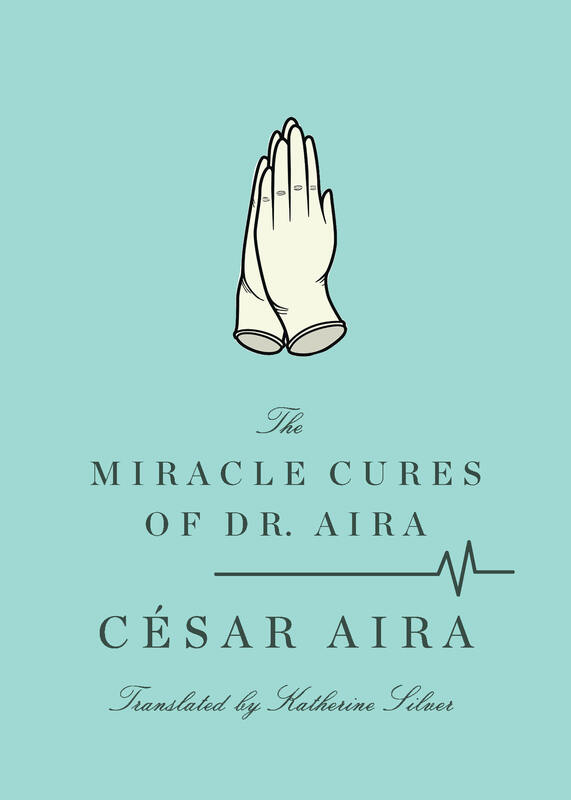 When the ever wary Dr. Aira is finally called upon to put his theories into practice and use his healing powers to actually cure a hopelessly sick man, César Aira — the authoritative writer — shows us the truth about miracles in this delightfully awesome book. César Aira’s novels are the narrative equivalent of the Exquisite Corpse, that Surrealist parlor game in which players add to drawings or stories without knowledge of previous or subsequent additions. Wildly heterogeneous elements are thrown together, and the final result never fails to surprise and amuse. [Aira’s works are] dense, unpredictable confections delivered in a plain, stealthily lyrical style capable of accommodating his fondness for mixing metaphysics, realism, pulp fiction, and Dadaist incongruities.